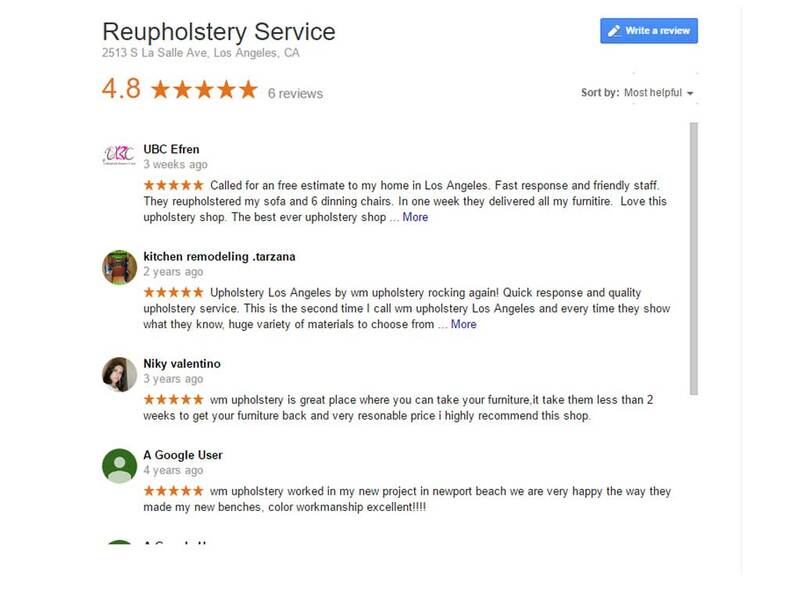 Welcome to our Reupholstery Service Los Angeles. Whether you want to Reupholster your old furniture or to give it a new look, Custom Furniture By WM Design can provide professionals Reupholstery services to all residents and business owners in the great city of Los Angeles. Quality Reupholstery Services in furniture such as: sofas, chairs, ottomans, restaurant booths, headboards, custom sectionals deserves a second chance and a new renovation. Our goal is to bring life back to your old sofa or chair. We are professional and certified upholsterer with over 40 years in business working hard for every customer we have in Los Angeles.